There is no universal picture of addiction. 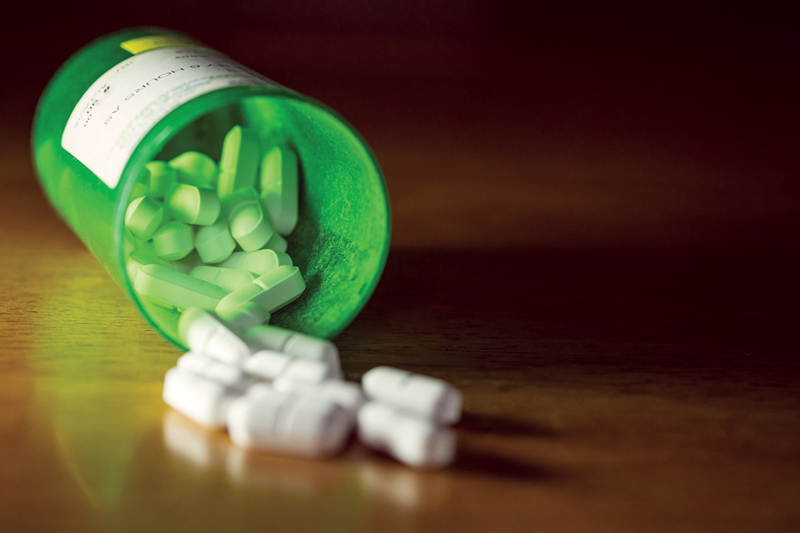 Prescribers strive to make informed decisions in order to avoid opioid dependence while still treating a patient’s pain, but they cannot always determine who is at a high risk of misuse. Few current tools exist to screen for patients at high risk of opioid use disorder outside of pain clinics, possibly delaying time-sensitive interventions. A new quantitative approach based on opioid prescription trajectories developed at Carnegie Mellon University’s Heinz College of Information Systems and Public Policy may help clinicians intervene before an addiction even develops. “Our goal is to use data to try to find people before they have a problem,” explains Wilson Mui (MSPPM 2019). Mui is one of the three CMU students selected for this project, which was funded by the Deloitte Foundation. His teammates were Nikita Setia (MSPPM-DA 2019) and Riccardo Fogliato, a Ph.D. candidate in the Department of Statistics and Data Science, Dietrich College of Humanities and Social Sciences. Under the guidance of Heinz College Professor Daniel Nagin and Dr. Jonathan Elmer, an assistant professor of emergency medicine, critical care medicine and neurology at the University of Pittsburgh, these CMU students developed a data-based approach to identify potentially problematic opioid users as early as possible. Using prescription data provided by the Allegheny County Department of Human Services (DHS), the team created a predictive model that could project an individual’s trajectory after just a few months of observation. This tool has the potential to save lives, especially in counties like Allegheny, where the rate of opioid-related overdoses exceeds both the state and national averages, Erin Dalton, deputy director for the Office of Data Analysis, Research and Evaluation at DHS, explains. “While other strategies allow us to identify people who are already addicted or actively in need of treatment, the fact that this method is preemptive is particularly valuable,” says Dalton, an alumna of Heinz college. The students synthesized eight years of DHS data into three distinct opioid user profiles: low users, heavy users and “desisters,” or individuals whose prescription opioid usage starts high, but quickly diminishes over time. These profiles were based on the number and dosage of prescriptions filled on a monthly basis, as well as the changes in this data over time. Nagin, whose group-based trajectory modeling algorithm served as the foundation for the team’s opioid user profiling methodology, maintains that this technique epitomizes the mission of Heinz College. “This isn’t the sort of problem that can be accurately captured from purely a policy perspective or an informatics perspective. Its complexity necessitates Heinz’s interdisciplinary approach,” said Nagin. The White House Council of Economic Advisors found that 2.4 million Americans currently have an opioid use disorder and nationally, opioid-related drug overdoses claim the lives of 115 people each day. With better than 80 percent accuracy after just a few months of prescription opioid use, the students’ model could help clinicians on the frontlines of the opioid crisis by flagging many high-risk individuals before they develop an opioid use disorder and facilitating interventions before the issue escalates. This is a big deal, because the “desister” group and the “heavy” group are practically indistinguishable to a human in the first few months of use, making interventions difficult if not impossible. But the algorithm can spot differences. According to Elmer, early identification of individuals that are likely to follow a trajectory of long-term use or dependence provides clinicians with a greater window of opportunity to intervene before patterns of opioid misuse become entrenched. One particularly promising aspect of this work is that it could scale nationally. The DHS dataset at the heart of this study is Medicaid data, meaning that every state has access to the same information. While there is no substitute for a clinician’s presence and discretion, this work provides a more standardized benchmark for high-risk opioid usage. By targeting opioid misuse at such an early stage, rather than after they have developed an addiction, this groundbreaking model would help clinicians take a preemptive, intervention-based approach to opioid addiction.